Now, whether you liked Bush or disliked him, it seems irrational to believe he wanted to kill women. But this poor woman really believed it. There was no reasoning with her because she believed this Black Lie to the core of her being. Most likely the woman in question was referring to George Bush’s pro-life views on the issue of abortion. People who strongly favor “a woman’s right to choose” abortion often have no regard for the life of the child involved – and anyone who believes in protecting these innocents is immediately labeled as evil. Once a person has been labeled evil, actual discussion and/or debate of the issues involved becomes nearly impossible. This is not to say that Progressives have the corner on destructive lies. Some Right-Wing bloggers and YouTubers have made some very outlandish allegations as well, such as accusing Michelle Obama of really being a man named Michael, and declaring that their two girls are adopted to further the charade! Really? No, a ridiculous lie – and not the only one. Sadly, Facebook and other social media are inundated with false allegations of all types and from every political persuasion. It has truly become more difficult to sort out the true from the false these days. We do, however, expect, or we used to expect, the media and the politicians to be more circumspect than what we might stumble upon on Facebook or YouTube. But it just isn’t so. What is the difference between the “fake news” we see on TV and plain old “over the back fence” gossip? Not much, apparently. Manufactured lies are not new for CNN and the mainstream media at large. Often the lies target Christians. It wasn’t that long ago that Christiane Amanpour, on Anderson Cooper 360, drew a moral equivalency between Muslim terrorists blowing up innocent victims and evangelicals getting involved with the election process in the U.S. Whoa! Jonathan Miles pointed out last week in “Bernie Sanders and The Scandal of Exclusivity” that even though Russell Vought didn’t condemn Muslims – the words of Jesus did – Senator Bernie Sanders labeled Russell Vought as “hateful” and “Islamophobic.” Why? Simply because Vought holds to the biblical teaching that there is no salvation outside of belief in Jesus Christ as Savior and God. In Sanders view, anyone who holds to biblical teaching should be excluded from office! Yes, he actually said that! And yet it’s obvious that Sanders views his universalist religious view as a vastly superior “truth” to Vought’s Christian views. Should Sanders be excluded from holding office because of his own bigotry? Why should what’s true for Sanders – Universalism – be imposed upon everyone else? 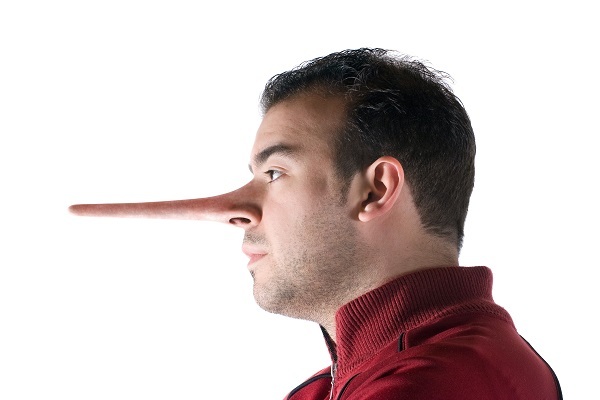 The use of Black Lies is also common when it comes to homosexuality. If a Christian holds firmly to biblical teaching on homosexuality, he or she is labeled as a hater. Christians do not hate homosexuals – they view their behavior as wrong. If a Christian does hate homosexuals, he or she truly needs to get a right heart attitude. We are all sinners in need of a Savior. Not one person is good in his or her own right. But in order to be saved, people need to know they are violating God’s laws, and are in need of forgiveness, just like us. The idea that we could love someone whose ideas and behaviors we reject seems to be foreign to those in positions of power. Maybe they are the ones who cannot love those with whose positions they disagree. Due to these sorts of verbal assaults, which seem to be escalating, evangelicals feel that the Federal Government of the nation they love is at war with them. That is probably because at least part of the government is at war with them. This feels new to us because the Judeo/Christian worldview has been the moral and ethical guide of Western Civilization for 1700 years, but that is no longer the case. There is an appropriate response and path that was trod by believers who were under assault by their government long before us. To the Emperor Titus Aelius Adrianus Antonius Pius Augustus Caesar, and to his son Verissimus the Philosopher, and to Lucius the Philosopher, the natural son of Caesar, and the adopted son of Pius, a lover of learning, and to the sacred Senate, with the whole people of the Romans. But you seem to fear lest all men become righteous and you no longer have any to punish. Hence, we are called atheists. And we confess that we are atheists, so far as the gods of this sort are concerned, but not with respect to the most true God, the Father of righteousness and temperance and other virtues, who is free from all impurity. Justin is saying that Christians are not atheists simply because they reject the plethora of Roman deities.